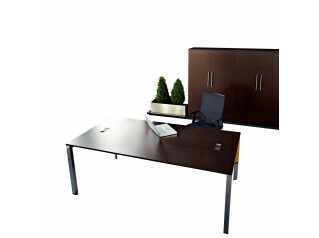 Diamond Operative Desks are a contemporary office desking series with distinctive triangular leg detail. Offering a wide range of configurations for the modern office environment, Sinetica Diamond Operative Desk is ideal for creating team workstations and office bench desking set ups. With the option of double benches, single desks, table extensions, screen dividers and accessory rail, as well as pedestals or cabinets to complement the range. 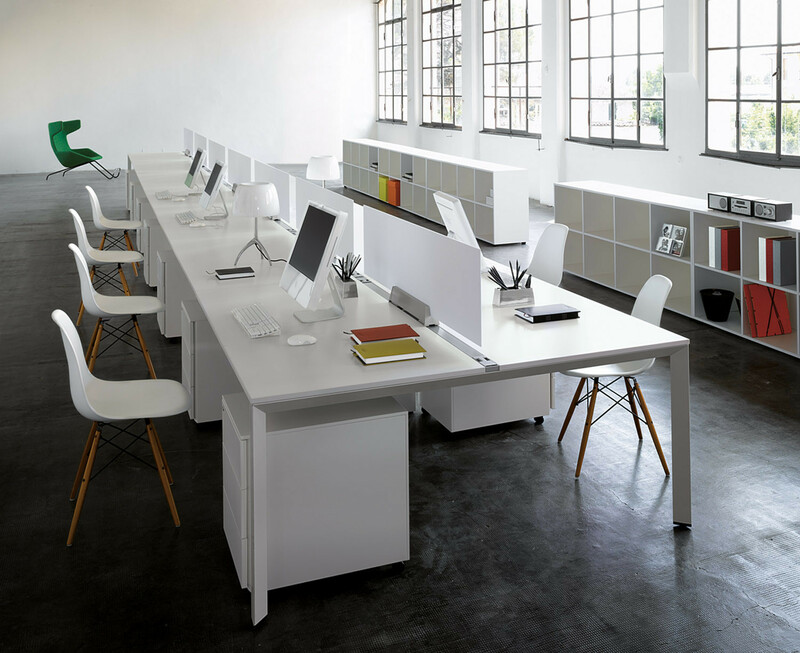 The accessory rail can be equipped with shelving or paper boxes for filing whilst the desk screen dividers offer privacy and create private workstations within a team benching configuration. 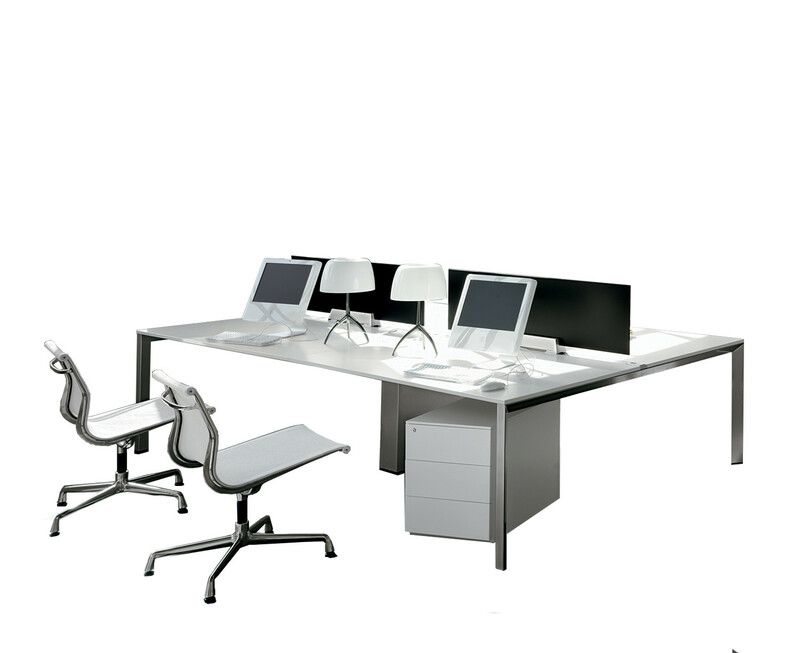 Diamond Operative Desks are part of the Diamond range from Hangar Design Group. You are requesting a price for the "Diamond Operative Desks"
To create a new project and add "Diamond Operative Desks" to it please click the button below. 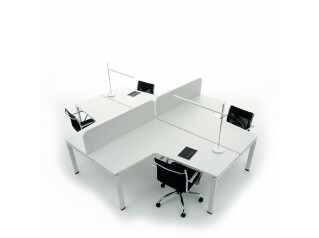 To add "Diamond Operative Desks" to an existing project please select below.